We are proud to announce Parent to Parent’s first ever SafeSquares event! The concept for SafeSquares springs from Kiwi grassroots, where farms had designated safe spots for kids to stand when there were tractors and vehicles operating nearby, or stock passing. These spots were usually marked by a paver. We’ve adapted it for urban kids too – particularly in light of toddlers tragically run over in their own driveways. It’s also useful for older kids who are neurodiverse or have a disability. 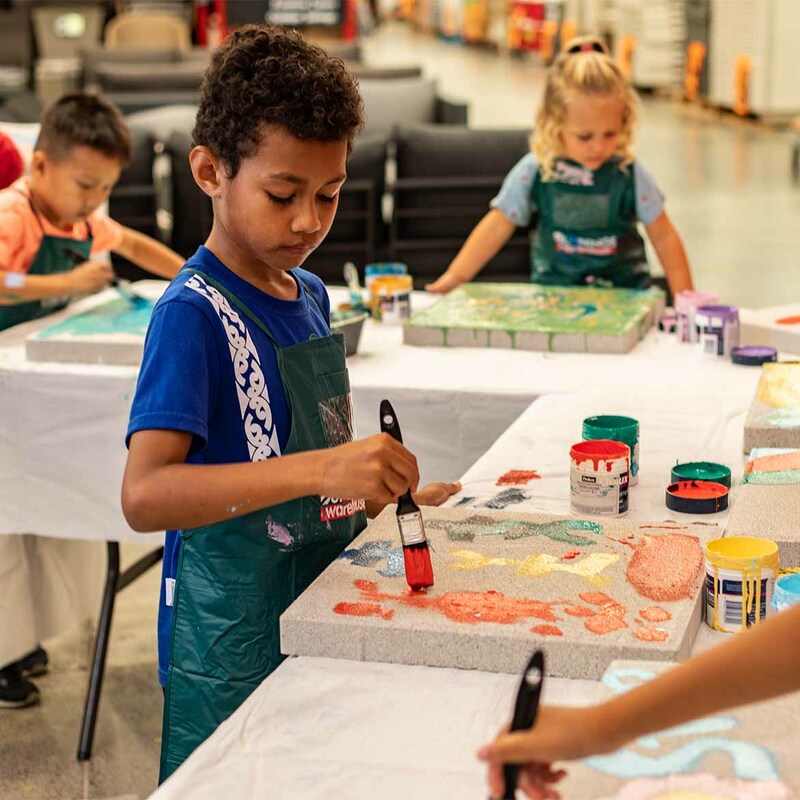 Hosted by Bunnings stores nationwide, families will have the chance to decorate their very own free SafeSquare paver and learn about driveway safety. See you there! – Walk around the car and check for children before you get in. – Supervise children whenever cars are moving. – Separate play areas from driveways with fencing and gates.